are the UK’s preferred heating controls manufacturer, offering solutions for underfloor heating and renewable energy systems. Providing you with the most up to date technology to help reduce your energy usage whilst increasing the comfort and ease of use. Established in 1968 as G&M Kay, the brand has become one of the UK’s leading smart thermostat manufacturers. Here at the Underfloor Shop we have available to purchase the ever popular neoStat’s, designed to be slim & stylish, offered in Black or White to suit the surroundings. neoStat’s are compact in size, slightly bigger than a standard light switch, you’ll notice what it does rather than where it is on the wall. 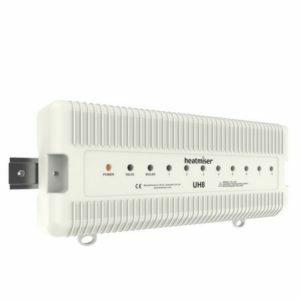 Also available is the newHub enabling the neoStat’s to be controlled from anywhere. Control your heating when you’re not even at home. The neoHub is now fully compatible with Apple Homekit allowing full integration with your other Homekit accessories. 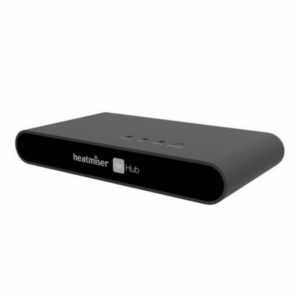 The gateway to the Neo System, providing remote control of all neoStats in your home. 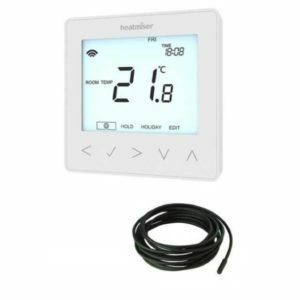 Heatmiser 8 zone wiring centre, designed to work with a four channel 230V time clock and any 230V room thermostat. 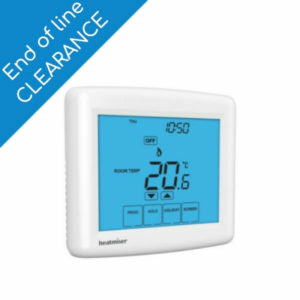 The Heatmiser Touch is a 230v Touchscreen, programmable room thermostat, ideal for conventional or combi-boiler systems. End of Line Clearance! 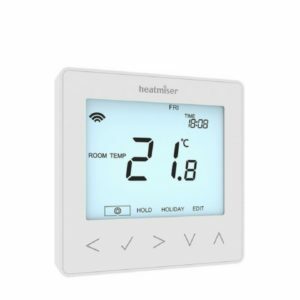 The Heatmiser Slimline-N is a 5/2 day or 7 day programmable thermostat. End of Line Clearance! 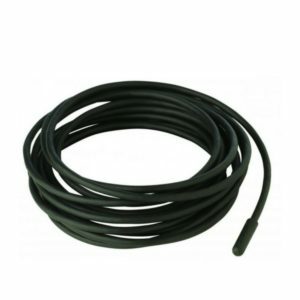 This sensor can be used to measure air and floor temperature.